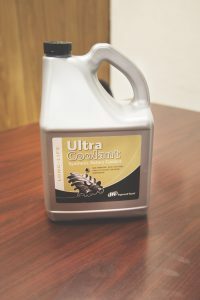 Ultra Coolant is an engineered polyglycol based coolant designed to achieve peak compressor performance for contact cooled rotary screw air compressors – even at the highest temperatures. Ultra Coolant’s unique formulation allows for long life, excellent cooling performance, and improved compressor efficiency. 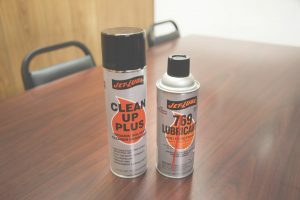 Unlike typical petroleum coolants, Ultra Coolant offers high thermal conductivity to extend the life of your compressor, its parts and even the coolant itself. CLEAN-UP PLUS starts working immediately on contact, breaking down and dissolving even the most stubborn contaminants without the use of fluorinated, chlorinated or SARA listed ingredients. CLEAN-UP PLUS slowly evaporates while cleaning and leaves a residue-free surface. Safe on all metals and most plastics. Be sure to contact us if you have any additional questions or would like more information on products that we carry.